BitShares Munich - Investors, Business, Decentralized. Sign in, if you're already a member of this group or Join BitShares Munich - Investors, Business, Decentralized. Topics include: Business solutions, earning passive crypto-income (which can also be converted to EUR/CNY/USD etc), remittance, trading, securing your retirement and assets, banking (and being your own bank), anonymity, forming a Decentralized Autonomous Company (DAC), funding for your venture, Point of Sale (POS) systems and much more! 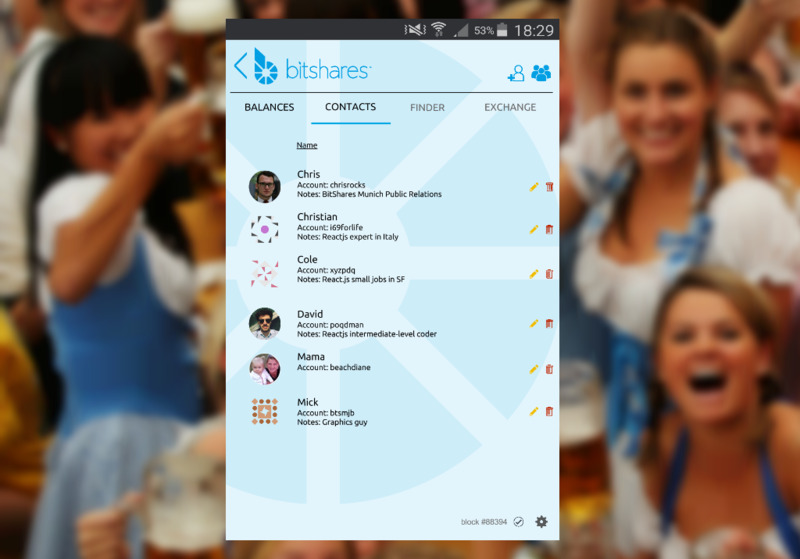 BitShares is a totally free service for Bavarian area denizens. Banks, Pensions and other investments are not paying like they used to. As a matter of fact, they are starting to charge you just for managing your money for you. In less than an hour, we can get you all setup to start accepting crypto, earning crypto, sending crypto and using those assets in every-day society, anywhere in the world. All free of charge. Where? Right now, we meet at different restaurants, biergartens, parks and other social spots around Munich. Sometimes we offer up different speakers (BitShares Workers, crypto-savvy Legal, Tax and Accounting professionals, University Speakers, even a couple VC's). Does your business have a place for us to sit? Contact ken and maybe we can have a Meetup at your location! • Bring your internet-connected device if you have one (tablet, laptop, smartphone). • Adults of all backgrounds are welcome, so please RSVP for our next Meetup! Great conversation and friends for life! BlockPay enables merchants to accept one or more digital currencies at Zero Cost.